These are the most common things people lie about on their resumes Men ask for deadline extensions at twice the rate of women How your credit card data gets shared with cyber criminals when you book a hotel Reese Witherspoon is about to make you feel good about your greys and wrinkles Why transparency and strong internal communication are what really help employees thrive This 1 sentence summarizes the entire Millennial generation Why a culture of silence is killing innovation Are America’s teachers really underpaid? Achieving work-life balance just another stressor for stressed-out workers Employment gaps raise red flags, but they can be overcome Why transparency and strong internal communication are what really help employees thrive Why the next text you get may be the start of your job interview Why transparency and strong internal communication are what really help employees thrive Why a culture of silence is killing innovation This iPhone feature can radically improve your life and relationships Are America’s teachers really underpaid? Be so interesting you can’t be ignored 5 times it pays to take a pay cut Why transparency and strong internal communication are what really help employees thrive 12 interview questions that are designed to trick you Why a culture of silence is killing innovation This iPhone feature can radically improve your life and relationships Why transparency and strong internal communication are what really help employees thrive Are America’s teachers really underpaid? Eating chocolate at lunch and 8 other ways to beat SAD at work This is how I learned to get Millennials to stop asking about promotions My single best tip for a job interview This is the single biggest mistake you’re making with your resume: Ladders 2018 Resume Guide Why a culture of silence is killing innovation Why transparency and strong internal communication are what really help employees thrive This iPhone feature can radically improve your life and relationships Are America’s teachers really underpaid? 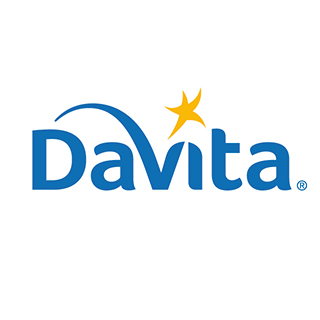 WellHealth, a DaVita Medical Group, is seeking well-trained, Board Eligible/Board Certified Ob/Gyn Generalist to join our Women’s Division within our multi-specialty medical organization and our expanded provider network in Las Vegas. Our medical group includes six clinic locations, over 20 Ob/Gyns and exceptional Advanced Care Provider support (Certified Nurse Midwives and Advanced Practice Registered Nurses). Our women’s division includes Laborist services in two of our major hospitals to assist our physicians with L&D care and deliveries. We provide a fully supportive clinical staff that assists with our daily in- and out-patient services. Our women’s services division supports medical education and is an integral part of an Ob/Gyn residency and MIS fellowship. Our physicians share 1:5 regional call and due to our size, back up services are available regardless of the matter.